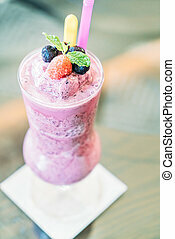 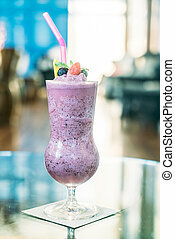 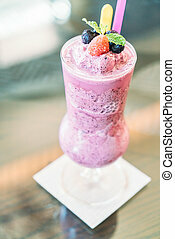 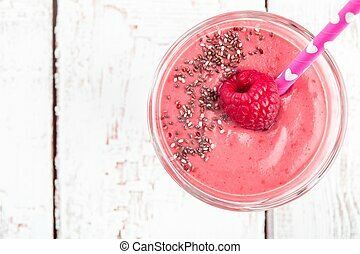 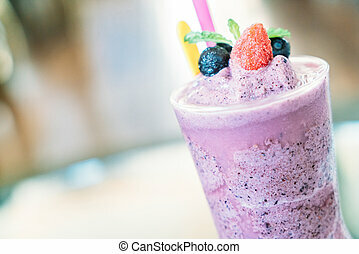 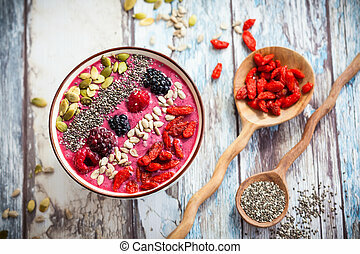 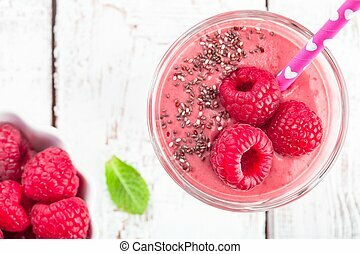 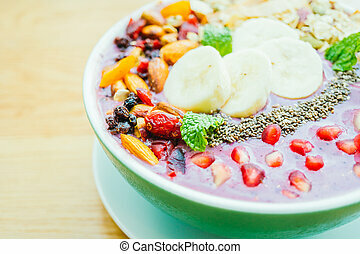 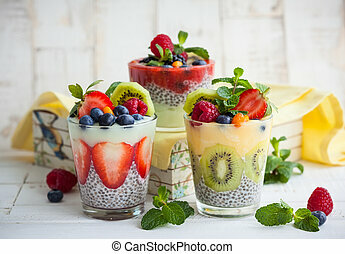 Smoothies, chia, baga. 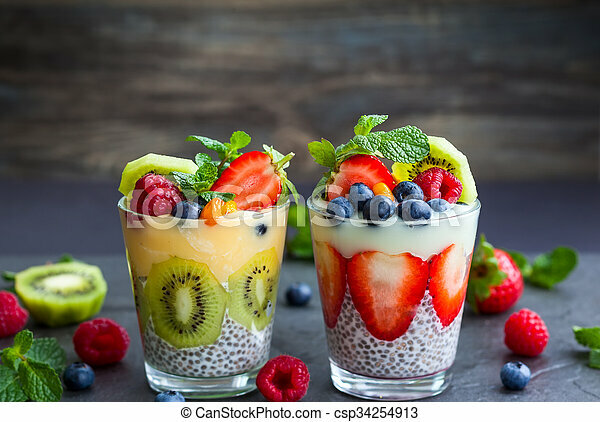 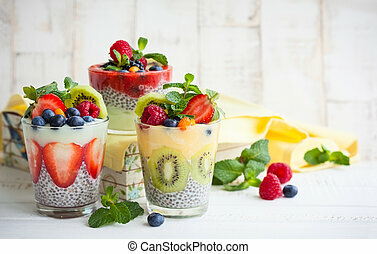 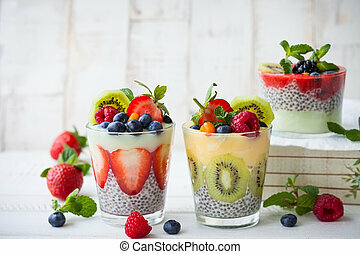 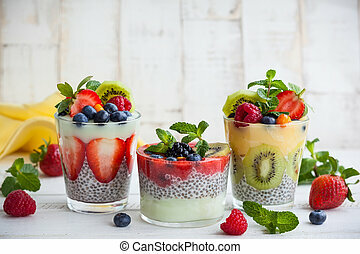 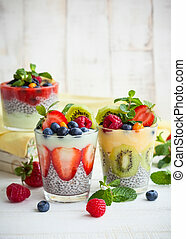 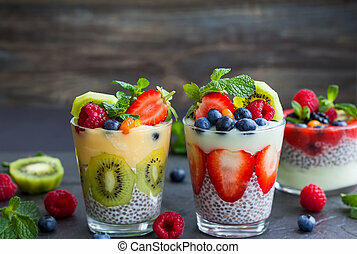 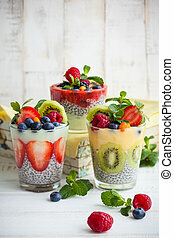 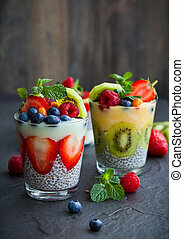 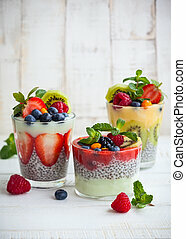 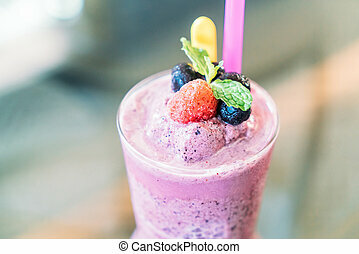 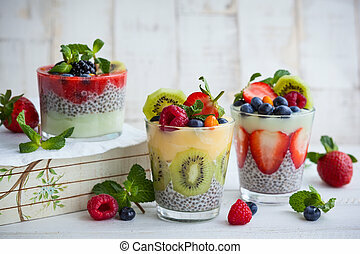 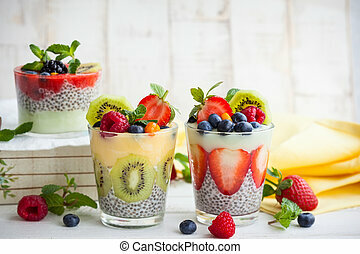 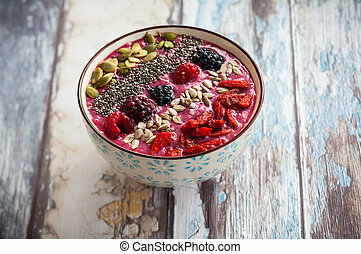 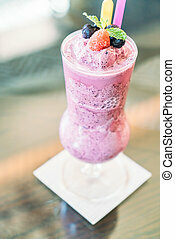 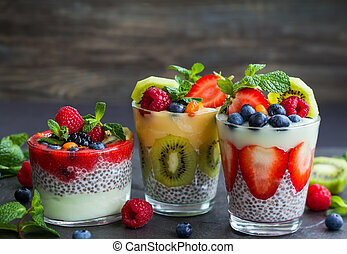 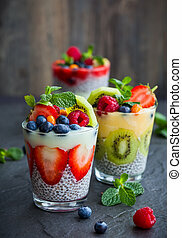 Smoothies, layered, chia, baga, sementes. 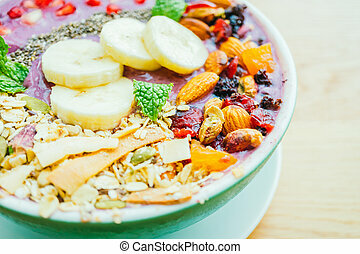 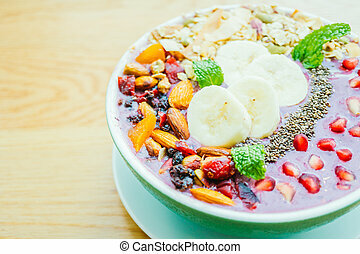 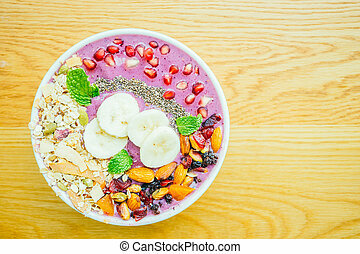 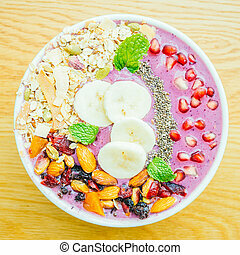 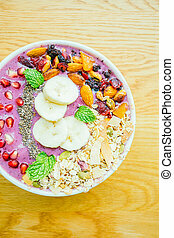 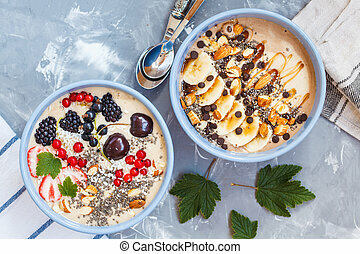 chocolate, e, baga, smoothies, bowls.